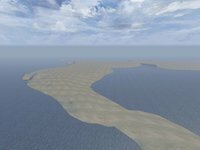 Desert Island is the smallest of the default islands and is based on the training island from Malden. 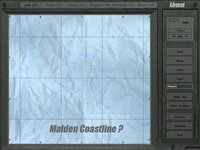 You can cleary see the outline of Malden when viewing the desert island in the editor. The island has no objects on it and is fairly flat, and consequently loads very quickly. For this reason it is traditionally used by editors for making missionettes, small tutorial missions to illustrate examples of scripts and editing techniques. Another reason is that the mission designer has a better overview of what is happening in the missionette, due to the flat ground and lack of objects. Topography of Desert Island is based on the Greek island of Meganisi in the Ionian sea, off the southeast coast of Lefkas/Malden. This page was last edited on 10 June 2009, at 14:09.